On Thursday (May 17) a man was seen to push and grab a woman in Butlers Grove. Police were called and located the offender nearby in Gibwinn. Whilst at Gibwinn, two men and a woman became aggressive towards police and the victim. During the argument, a second man punched the victim to the face causing bruising to her right eye. The first offender is a white man aged about 18, of a slim build with short straight brown hair. The second offender is a white boy aged about 16, also of a slim build with short brown hair. The third offender is a white man aged in his fifties of an average build with medium length dark brown hair. The fourth offender a white woman aged in her fifties of an average build with long blonde hair. An 18-year-old man has been arrested on suspicion of common assault. A 16-year-old boy has been arrested on suspicion of assault with injury. A 51-year-old man has been arrested on suspicion of affray. 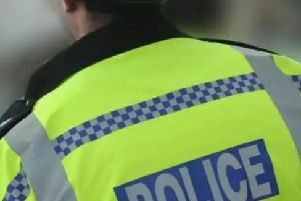 A 50-year-old woman has been arrested on suspicion of obstructing police.